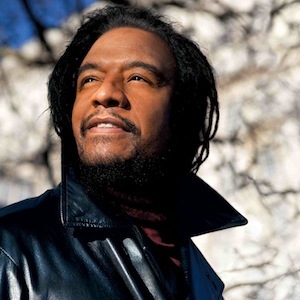 Max Alfred “Maxi” Elliott (born 10 June 1961), known as Maxi Priest, is a British reggae vocalist of Jamaican descent. He is best known for singing reggae music with an R&B influence, otherwise known as reggae fusion, and became one of the first international successes who regularly dabbled in the genre and one of the most successful reggae fusion acts of all-time. Maxi Priest was born in Lewisham, London, the second to last of nine brothers and sisters. His parents moved to England from Jamaica to provide more opportunity for their family and he grew up listening to gospel, reggae, R&B, and pop music. He first learned to sing in church, encouraged by his mother who was a Pentecostal missionary. Maxi grew up listening to Jamaican greats such as Dennis Brown, John Holt, Ken Boothe and Gregory Isaacs, as well as singers like Marvin Gaye, Al Green, the Beatles, Phil Collins and Frank Sinatra. As a teenager, he’d lifted speaker boxes for the Jah Shaka and Negus Negast sound-systems. He was also a founder member of Saxon Studio International. It was with Saxon that Maxi began performing at neighbourhood youth clubs and house parties, and first won an appreciative audience. His music is sometimes closer to R&B, and pop, than to reggae music itself. His cousin, Jacob Miller, a reggae icon, was the frontman in the popular reggae group Inner Circle. Priest’s musical career began with him singing on the South London reggae soundsystem Saxon Studio International, after which some independent single releases followed. His first major album was the self-titled Maxi Priest (1988) which, along with his cover of Cat Stevens’ “Wild World”, established him as one of the top British reggae singers. He is one of only two British reggae acts (along with UB40) to have an American Billboard number one: “Close to You” in 1990. A duet with Roberta Flack, “Set the Night to Music”, reached the American Top Ten in 1991. His duet with Shaggy in 1996, “That Girl”, was also a hit in the United States, peaking at number twenty. In the latter half of his recording career, Priest has favoured working alongside other artists, both established and up-and-coming. He has worked with Sly and Robbie, Shaggy, Beres Hammond, Jazzie B, Apache Indian, Roberta Flack, Shurwayne Winchester, Shabba Ranks and Lee Ritenour. It was reported in some newspapers in the Birmingham area, including the Birmingham Mail on 13 March 2008, that Priest would be replacing Ali Campbell as the new lead singer of UB40, and that he had recorded a cover of Bob Marley’s “I Shot the Sheriff” with the band, based on information from “an unnamed source close to the band.” Priest had joined UB40 on tour in 2007, culminating in sell-out shows at the National Exhibition Centre (NEC) in Solihull in December. In 2012, Maxi Priest recorded a cover of Japanese band L’arc~en~Ciel’s song “Vivid Colors” for the band’s English-language tribute album. His 2014 album Easy to Love entered the Billboard Top Reggae Albums chart at no. 2.